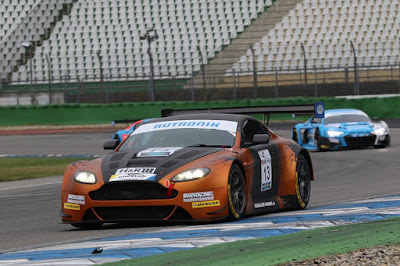 The second round of the German DMV GTC Series at Hockenheim proved itself to be something of a reality check for the two Aston Martin Racing V12 Vantage GT3's after a good showing by the then single AMR car entered at round one. Timo Scheibner and his Schaler Motorsport team were back with 'their' bronze and black Vantage GT3, the car that had earned them three credible P4 finishes in the opening two rounds of the GTC Series as well as the Dunlop 60 event. 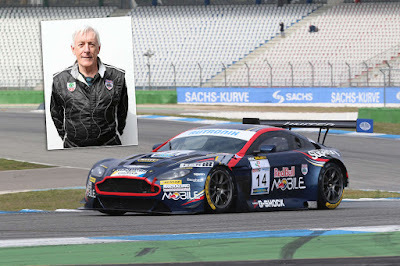 For round two, Scheibner was joined by the guardian of most of the remaining AMR V12 Vantage GT3 fleet in the world including his car - Alex Lienau who was himself joined by BRDC Chairman and historic racer John Grant - long term friend of both Lienau and Scheibner. Unfortunately race 1 didn't fair too well for the trio of gentlemen racers as both cars failed to finish through various technical issues with race 2 fairing no better for the Englishman - retiring his car after just one lap. 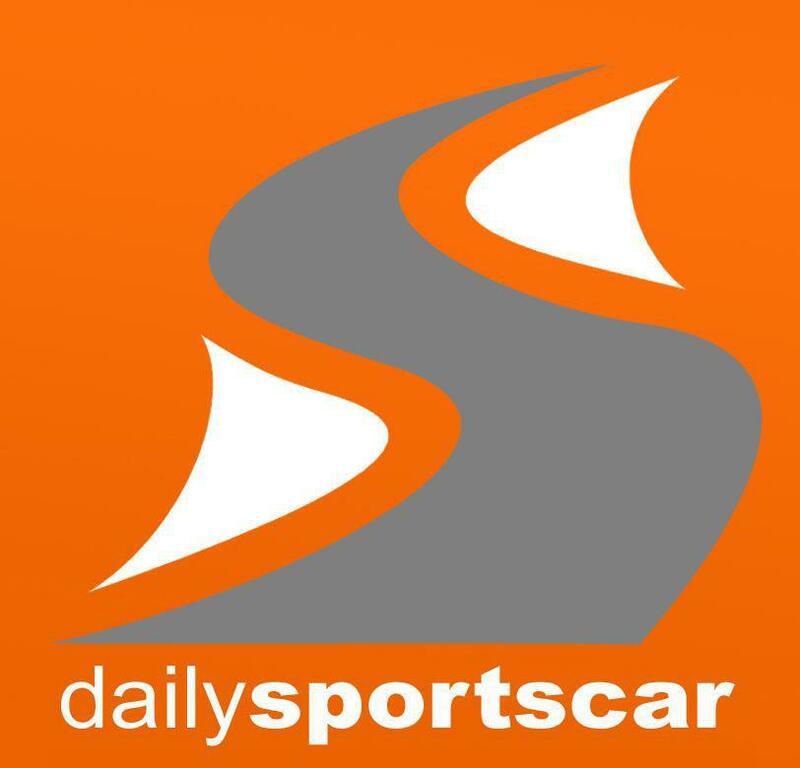 In Fridays sixty minute Dunlop 60 race, Scheiber at least finished top of his Class 2 opponents although the former AMR Brussels Racing of Lienau and Grant only managed three laps. Later, it transpired that the #14 car may have looked the part in all of its Red Bull livery but it was suffering from fundamental handling issues - issues that a novice GT3 racer like Grant would forever be unable to remedy or control from within the car. 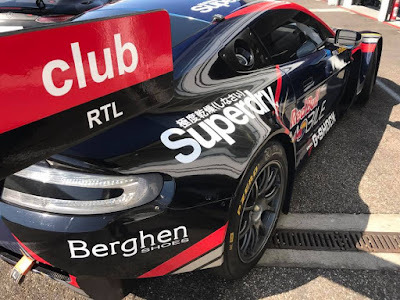 Lets hope that this trio can remedy things before the next round of the Series at the Red Bull Ring, Austria towards the end of May. Further south in Germany, the second round of the VLN Series suffered no better with Saturday morning Qualifying again getting delayed by morning fog around the circuit before the formation lap could then take place ahead of todays four hour race. 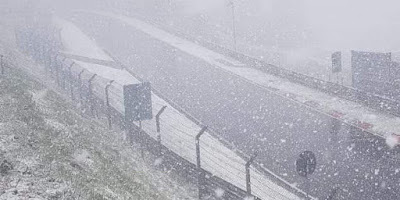 Unfortunately for the 181 cars that did Qualify - racing only lasted two laps before the red was first red flagged and then abandoned due to heavy snow falling around the circuit meaning for a very short day at the office for drivers Marco Muller and Jesse Menczer in the AMR Performance Centre Vantage GT8. The next round of the series is at the end of the month.